We may not be rooting for our Cowboys in Super Bowl 51 on Sunday, but that doesn’t mean we can’t still enjoy some good food, friends and family. Check out these amazing recipes and hosting tips. You can’t go wrong with crowd pleasing chicken wings. Skip the line at your local eatery and opt for making your own. You can bake them or grill, then toss in your favorite sauce. Looking for a great option? Check out this recipe for Jack Daniel’s BBQ. So many great conversations happen while munching on chips and dip. One of my favorites is Spinach and Artichoke dip. This dip can be served with your favorite chips, crackers or even veggies. Be sure to include something for that sweet tooth in your spread. Here’s a fantastic Chocolate Chip Cookie Dough bites. 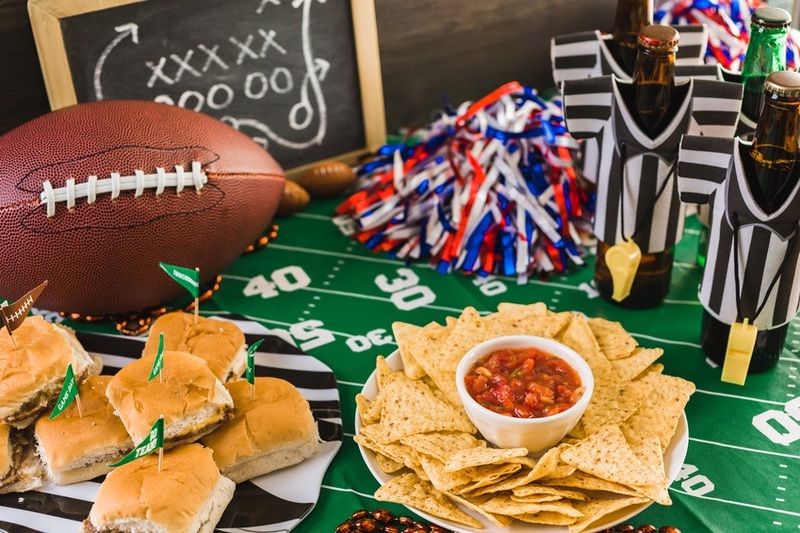 Take the time to shape these bites into footballs before dipping into chocolate, and your fans will be screaming touchdown! 1. Get the kids in on the fun with Super Bowl Bingo. 2. Need to chill drinks fast? Place them in salted ice. 3. Put several trash bags into your trash can to save time on having to re-bag it during the game. 4. Cut off the labels to empty drink boxes and tape to the outside of coolers so your guest know what’s inside. 5. Want to go that extra step in your super bowl party theme? Check out these amazing decorating ideas including printables and tutorials. What are some ways you enjoy the Super Bowl?